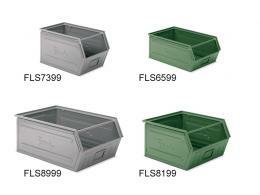 What is the purpose of the Galvanised Steel Parts Bins? 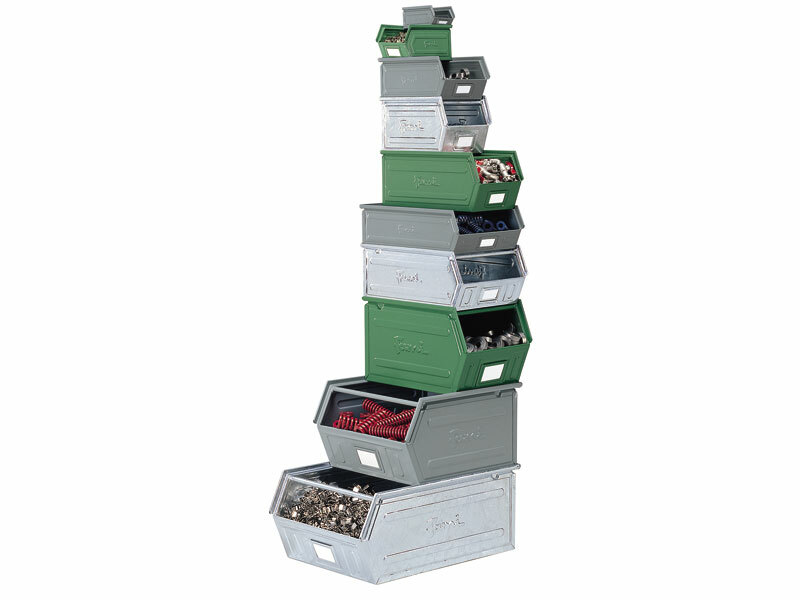 The galvanised steel parts bins are designed to organize and store small parts. The containers come in a variety of sizes and each one of them can stack on top of a larger container underneath it. They have an open front so someone using them can access the items inside without having to take the containers out of the stack. Because they are made out of a galvanised steel, they are very durable and will not be damaged easily. They can be knocked over or dropped and they will still be in good condition and able to be stacked. The larger bins come with a carry bar on the front of them just in case they need to be moved and the items inside are heavy. This product can be used in workshops where employees need access to smaller tools on a regular basis. People who need to access screws, bolts, nuts, and other items like this are going to want access to them easily. The bins allow someone to easily get what they need, transport it to another location in the shop, and to easily locate the item they need because of the label area on the front of the bin. 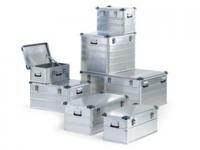 They are also great for storing woodworking tools because they will not be damaged by the tools inside and will not be easily damaged by any debris in the shop. They are easy to clean as well, which is something that many shop workers appreciate. Someone who works in a shop is most likely to use this product. Many shop workers need access to small items and they don't want to take a long time finding them. If someone is assembling chairs in their shop, they want to know where each screw they are going to need is located at all times. They may even be working with a few other people in the shop, so having the carrying bar to transport the bin of products is very convenient. Keeping the bins in a stack right next to the work area will make a worker much more productive than if they had to hunt for the things they need. 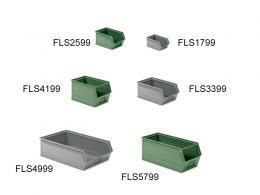 The galvanised steel parts bins come with a 1 year parts and labour warranty.